'We took a cruise up the Kaipara Harbour from Pakiri to Port Albert, on Sunday 21 April 2013. There was a ton of great weather happening all around us. This was taken around 15:00 looking east towards Port Albert at a fast growing Cumulonimbus cloud. Taken on my Canon D650 at 17mm' wrote Fraser. 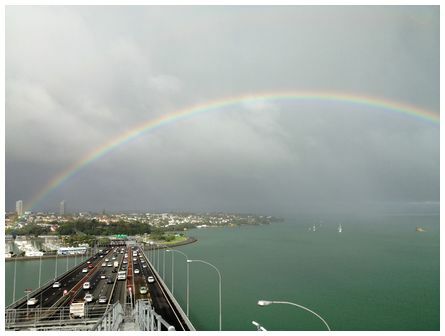 'Taken from the top of the Auckland Harbour Bridge at 09:15 on 24 April 2013' wrote Hannah. 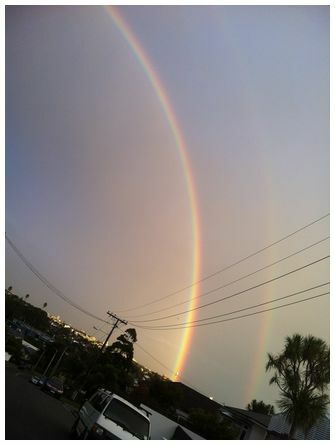 'View of Sky Tower at foot of the rainbow. Taken Saturday 6 April 2013 on Kenny Road, Remuera. Sent from my iPhone' wrote Dan. Joe wrote 'a cold easterly wind was blowing across Southland and Otago. 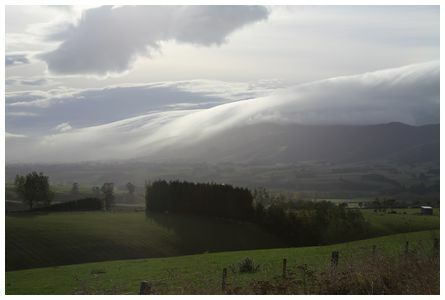 It pulled a blanket of cloud over the Blue Mountains and down on Tapanui. 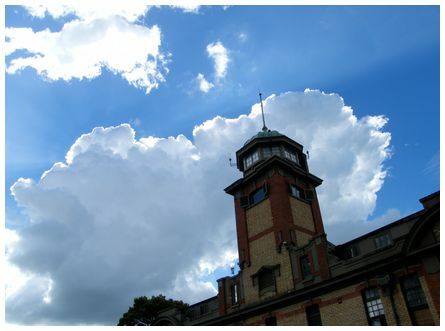 Taken at 10:00 on 20 April 2013 with a Canon 5D on auto. 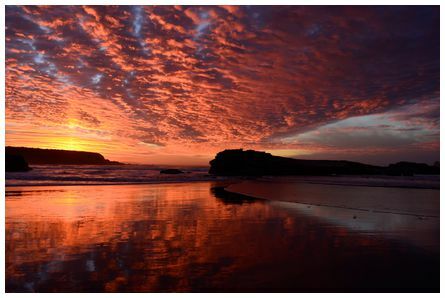 'Hi James, I took this photo this from my balcony at Red Beach looking toward the Orewa estuary. 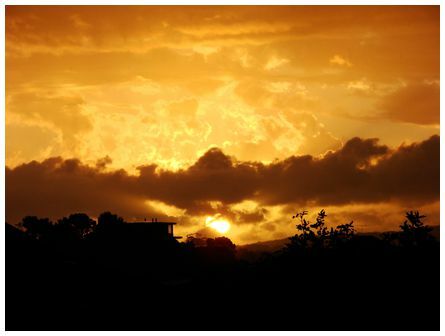 We had just had a bit of rain then there was a small break and we saw this magnificent sunset. Taken with a Sony Cybershot camera at 19:15 on 18 March 2013' wrote Jim. 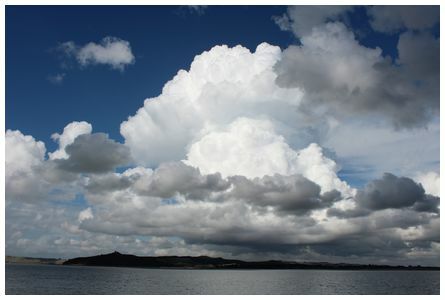 'A dramatic sky heralds a few isolated showers, a rarity in Auckland this year. This is the street view outside our offices in Beresford Square. Taken at 16:00 on Thursday 11 April 2013' wrote Fraser.